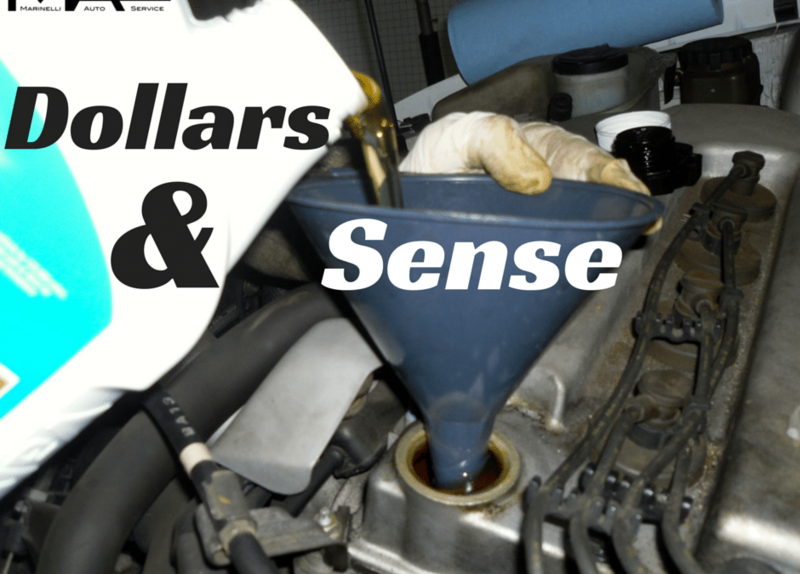 Dollars & Sense: Do You Really Want a $19.95 Oil Change? by The Mechanic's Wife | Feb 5, 2015 | Did You Know? You glance at the tag on your windshield and realize you’ve passed the 3,000 mile mark since your last oil change. You make a note to self to get your car in later in the week while you’re running errands. Before you run into the nearest auto shop with the lowest price, I encourage you to consider your options. In this continuation of the four-part series, Dollars & Sense, you will get a clear picture of the importance of giving your vehicle to a proper oil change. First, please know that my husband and I don’t believe all shops with discounted oil changes are bad businesses. There are some great shops out there who offer – sometimes steep – discounts on their oil changes. In fact, my parents have been going to the same quick service place for years and they receive service from the same guy. He’s a seasoned mechanic who just happens to specialize in oil changes and basic maintenance issues. He has always taken good care of my families’ vehicles. However, many garages with low-cost oil change offers aren’t like my parents’. The oil change is not always done by a seasoned mechanic. In fact, it might just be the college student who needed a part time job to help pay for books and all he really knows how to do is change oil. He wouldn’t be able to identify some obvious issues that are often detected during the oil change, whereas a seasoned mechanic who has a history with your vehicle would. Cheap oil changes mean you will likely be faced with an upsell (air filters, windshield wipers, spark plugs, and the like) and greater margin for error. Your college student oil changer is not really bringing in significant wages for his service. In fact, the shop isn’t actually making money on your $19.95. That’s just the incentive to get you in the door and hopefully there’s some other type of issue with your vehicle wherein they can upsell you with other services. They actually may be right. You may need the windshield wipers or an air filter; or you may not. The upsell isn’t reason to avoid such places. An oil change isn’t the only routine maintenance your vehicle needs, however, you need to ask yourself if you really trust the person doing the work. Inexperienced or poorly paid mechanics whom you’re not familiar with are often rushed and more likely to leave drain plugs too loose or overtightened which could cause unnecessary problems for your vehicle. An experienced mechanic who is being paid fairly for his time is far less likely to make such mistakes. My final word of caution lies in the oil itself. A good mechanic will look up the factory specifications of oil types for your vehicle. If you are curious about your vehicle, these specifications can be found in the manual you likely have sitting untouched in your glovebox (which oddly enough, rarely ever holds gloves…but that’s a conversation for another day). Unless you trust the mechanic to look up the right kind of oil for your make and model, take a minute to look it up yourself and make sure that’s what they are using. Additionally, this same manual will also tell you at what interval you should change your oil. Contrary to popular belief, it’s not always 3,000 miles. Some vehicles can go as far as 10,000 miles between oil changes! While one can’t assume their vehicle will last 10,000 miles, it is important to understand that getting the most miles in between oil changes depends on your driving patterns, environment, and manufacturer specifications. Are you still convinced you want to pay just $19.95 for a 20 minute quicky oil change? When you think about it, you spend anywhere between $20-$50 to fill up your tank with gas and yet a basic maintenance service like an oil change is treated with far less thought. Your car will thank you by running smoother and longer if you take the time to drop off your vehicle with a trusted mechanic. Pay for quality fluids and filters for your vehicle, spend some extra cash for him to change your oil properly, and to do a thorough maintenance check of your vehicle. Don’t miss my insights on auto diagnostics in my next post…while a medical degree isn’t necessary, accuracy is just as important!